Although we expect the Xbox One price cut to change things drastically next month, during October the PS4 continued its unbroken streak as the best-selling eighth-generation console in the US. Total industry spend flat year-on-year. Software down, but hardware and accessories up. New release sales down. PS4 led hardware sales. Current-gen sales tracking ahead of last-gen. The PS4 was the best-selling console in the US in October, Sony has announced, drawing on the NPD Group’s monthly report. The release of the NPD report today explains Microsoft’s decision to announce yesterday that it has almost shipped ten million Xbox One units – and that the recent $50 price cut has tripled the console’s sales, resulting in it taking the lead in eighth-gen console sales. So don’t soil your fanboy pants just yet. 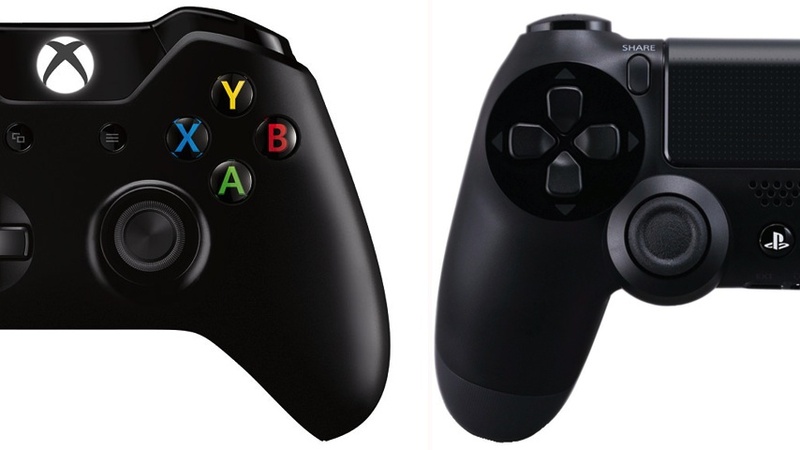 The NPD took the time to celebrate both consoles which, after a year on sale, are tracking well ahead of the PS3 and Xbox 360. Microsoft is yet to issue a response to the NPD October report, but Nintendo came through with the announcement that Super Smash Bros. 3DS has reached 1.2 million sales in the US, making it the best-selling handheld title of 2014 to date. Super Smash Bros. 3DS is also the tenth 3DS title to pass the 1 million sales milestone, along with Mario Kart 7, Super Mario 3D Land, New Super Mario Bros. 2, Pokémon X, Pokémon Y, The Legend of Zelda: Ocarina of Time 3D, Luigi’s Mansion: Dark Moon, Animal Crossing: New Leaf and The Legend of Zelda: A Link Between Worlds. Remember this is just the US Nintendo is talking about; as reported last month, the 3DS fighter has shifted over 3.2 million units worldwide. Nintendo didn’t release hard numbers for Wii U sales but said that year over year Wii U hardware sales grew 47% and software sales grew 84%. Total industry spend was pretty much flat year-on-year. Hardware grew 59% and accessories grew 22%, which together offset a steep 28% decline in software sales. The NPD attributed lower software spend to declining sales of seventh-generation console games, as well as weaker performances from new releases. “Games that launched this month sold 42% fewer units than the games that launched in October 2013,” Callahan said. That’s not terrific news, as there were a bunch of new releases like Sunset Overdrive, The Evil Within, Borderlands: The Pre-Sequel, Driveclub, Alien Isolation, Super Smash Bros. 3DS, Bayonetta and Lords of the Fallen. It’s worth noting that many of these hit later in the month, though. NBA 2K15 took top honours, which is not much of a surprise given the franchise’s regular chart appearances. The NPD said Sunset Overdrive would have charted in ninth place in a software top ten of individual SKUs, which certainly bodes well for the Xbox One. The Evil Within also set a record for highest first-month sales of a new horror IP.